British Stand-Up Comedy Archive | News about the British Stand-Up Comedy Archive and which celebrates, preserves, and provide access to archives and records relating to stand-up comedy in the UK. News about the British Stand-Up Comedy Archive and which celebrates, preserves, and provide access to archives and records relating to stand-up comedy in the UK. A personal friend of Linda’s, Jo is a comedy legend – a brilliant stand-up, the writer and star of the critically acclaimed medical sitcom Getting On (BBC Four), and the author of a numerous books from the 2009 novel ‘The More You Ignore Me’ (made into a 2018 film starring Sheridan Smith) to ‘Born Lippy’, a recent Radio 4 Book of the Week. She is also a much-loved television personality, notably as presenter of ‘The Great British Bake Off: An Extra Slice’. You can get your tickets via the Gulbenkian website or in person via the Box Office. 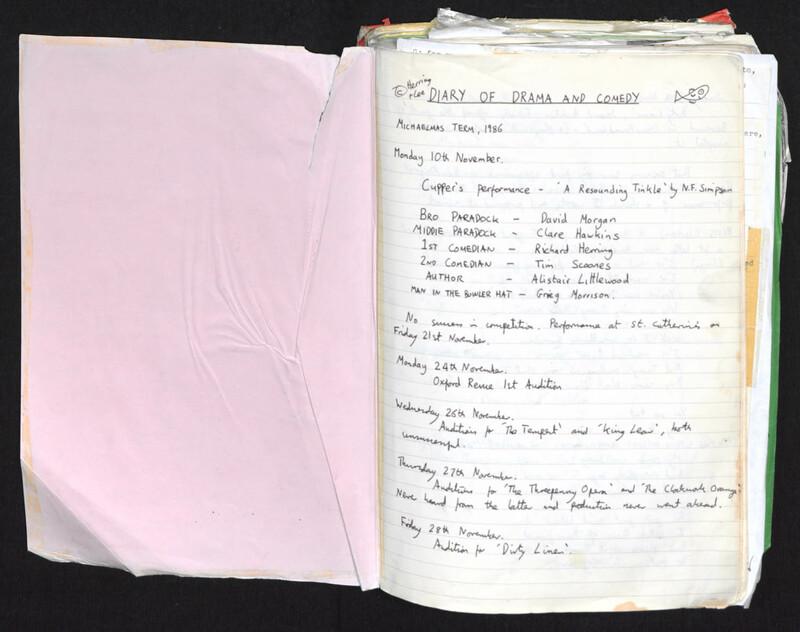 The deposit of Linda Smith’s personal archive with the University of Kent in 2013 provided the inspiration for the formation of the British Stand-Up Comedy Archive, which is now growing into a substantial collection, for use by comedians and for those researching stand-up comedy and associated performance arts. The Linda Smith Lecture was established in 2015 to be an annual event to celebrate Linda’s life and work, her interest in comedy and its use in and for political and social commentary, and to promote the work of the British Stand-Up Comedy Archive. The 2019 Linda Smith Lecture is part of the Alternative Comedy Now Festival (1 – 4 May 2019). 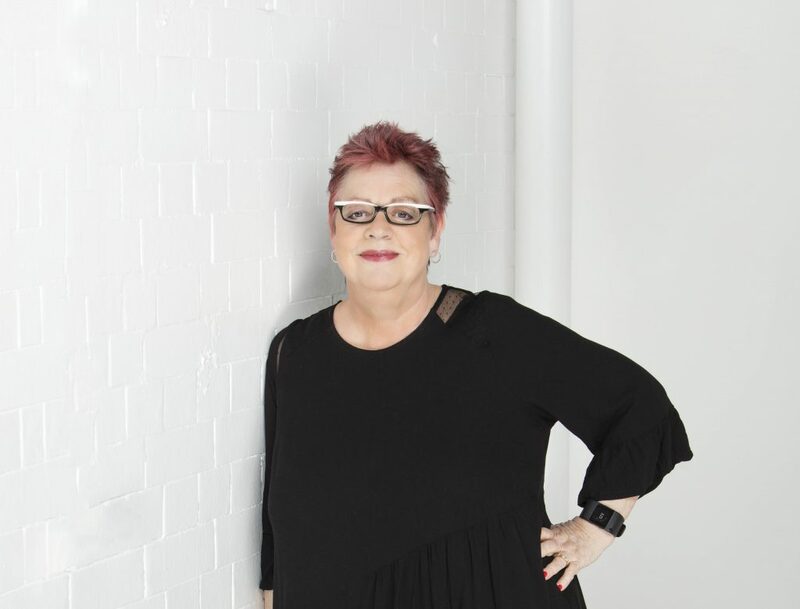 This entry was posted in Events, Linda Smith Lecture and tagged Events, Jo Brand, Linda Smith Lecture on January 24, 2019 by Elspeth Millar. 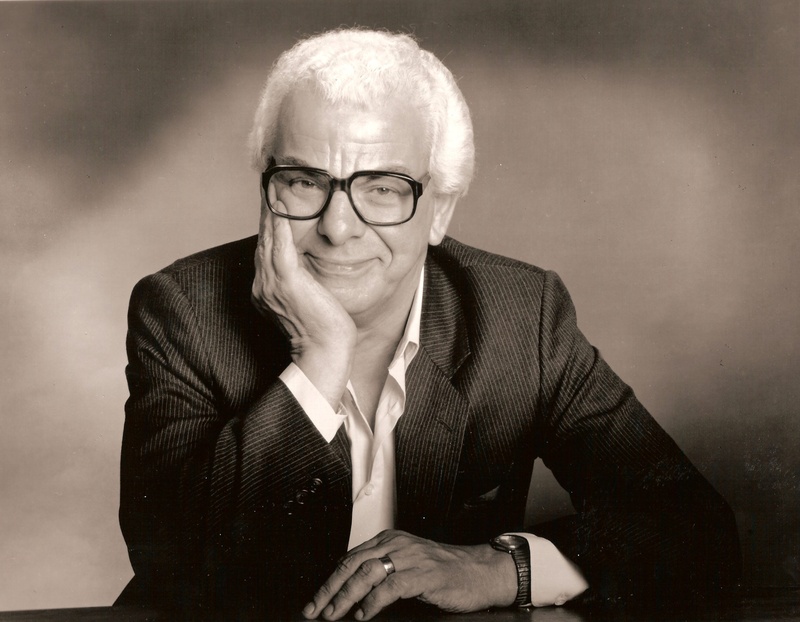 We are delighted that the wonderful Barry Cryer has agreed to give the 2018 Linda Smith Lecture. A personal friend of Linda’s, Barry has contributed to this country’s entertainment industry for over 50 years. He has written for some of our highest rated shows and for many of our most popular comedians. His brilliant wit is still enjoyed by millions – in theatres, on television and radio, notably the iconic I’m Sorry I Haven’t a Clue. You can get your tickets for the Lecture via the Gulbenkian box office, online or in person. This entry was posted in Events, Linda Smith Lecture and tagged Barry Cryer, Events, Gulbenkian, Linda Smith, Linda Smith Lecture on March 19, 2018 by Elspeth Millar. In episode 16 of ‘A History of Comedy in Several Objects’ we have an exclusive interview with Bruce Dessau, the comedy critic from the Evening Standard and his own Beyond The Joke website. Together we went back to 1981 to examine a review of The Comic Strip written by Charles Spencer, and discuss the role of the comedy critic, how it has changed in the last 36 years and how comedy relates to both theatre and live music. You can access this episode of ‘A History of Comedy in Several Objects’ via iTunes and acast. Some images of objects from the podcast are available on our flickr site, so do check them out (in the ‘History of Comedy in Several Objects‘ album)! And don’t forget to get involved! You can contact us via standup@kent.ac.uk or tweet us at @histcompod. You can also search the online catalogue for more information about the holdings of the British Stand-Up Comedy Archive at http://archive.kent.ac.uk. Remember to subscribe to the podcast, and please leave us a review on iTunes. This entry was posted in A History of Comedy in Several Objects, Podcast and tagged A History of Comedy in Several Objects, Beyond The Joke, Bruce Dessau, Podcast, The Comic Strip on August 24, 2017 by Elspeth Millar. In Episode 15 of A History of Comedy in Several Objects we have an exclusive interview with Lynne Parker, the founder and the head of Funny Women. Lynne discusses her experiences running Funny Women, the success stories, the controversial stories, and articulates points about feminism within stand-up comedy. 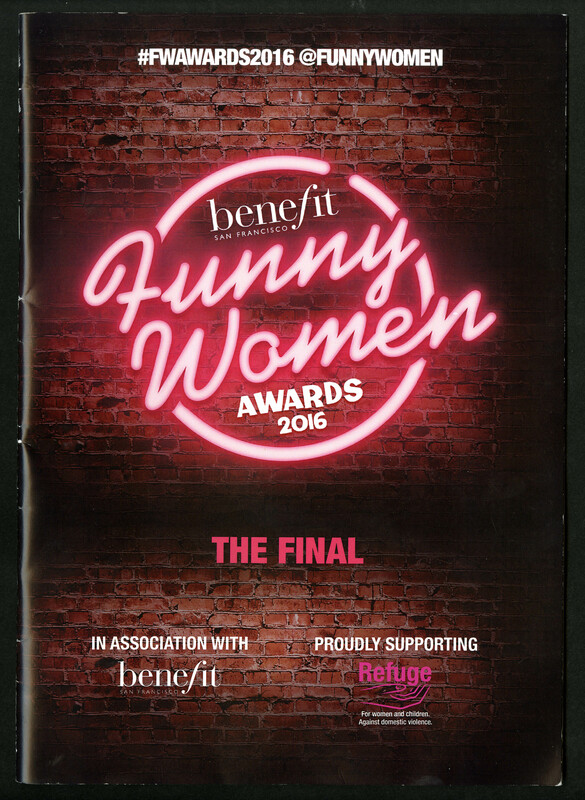 Lynne selected as her ‘object’ of the episode the 2016 Funny Women Awards programme, to demonstrate how far Funny Women has come since 2002. You can access this episode of ‘A History of Comedy in Several Objects’ via iTunes and acast. An image of the programme is available on our flickr site, so do check it out (in the ‘History of Comedy in Several Objects‘ album)! This entry was posted in A History of Comedy in Several Objects, collections, Funny Women Collection and tagged A History of Comedy in Several Objects, Funny Women, Lynne Parker, Podcast on August 22, 2017 by Elspeth Millar. In episode 14 of A History of Comedy in Several Objects the brilliantly funny comedian Angela Barnes visits the British Stand-Up Comedy Archive (you can too!) to look at a whole swathe of material relating to her comic hero, Linda Smith. 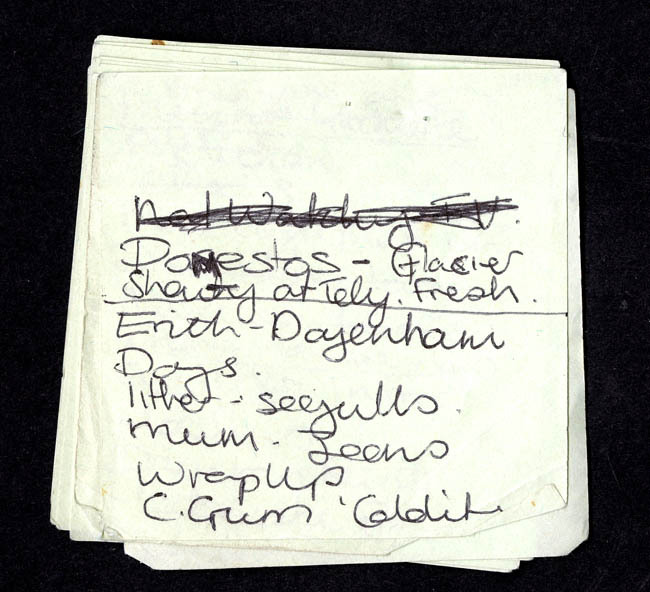 We looked at lots of material but Angela selected as her object of the episode some post-it notes which Linda had used as set-list style prompts. You can access this episode of ‘A History of Comedy in Several Objects’ via iTunes and cast. Images of the post-it notes are available on our flickr site, so do check them out (in the ‘History of Comedy in Several Objects‘ album)! 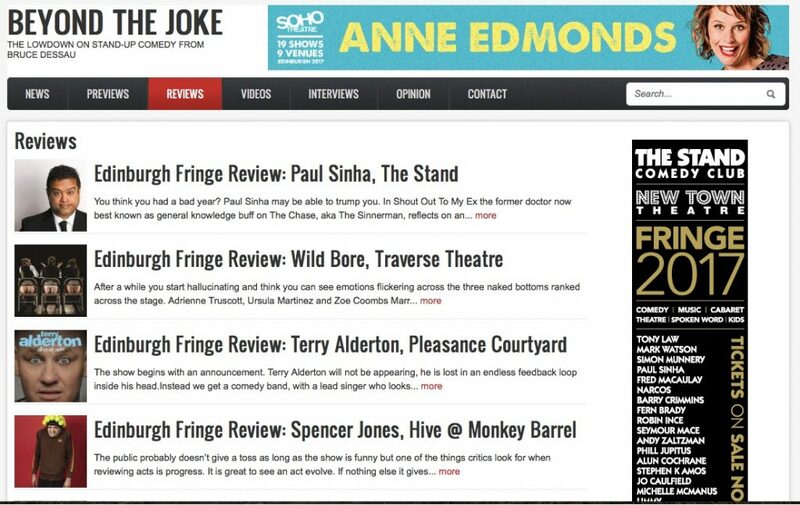 This entry was posted in A History of Comedy in Several Objects, Linda Smith Collection, Podcast and tagged A History of Comedy in Several Objects, Angela Barnes, Linda Smith, Mark Thomas, Podcast, set lists on July 17, 2017 by Elspeth Millar. Episode 13 of Histcompod features an exclusive interview with Richard Herring! That’s right – the creator of RHLSTP (“Ruh-huh-luh-stuh-puh!”), one half of comedy double act Lee and Herring, and writer of many masterful Edinburgh Fringe shows. In our exclusive interview with the fantastic “Podfather ”, you’ll hear Olly asking him a multitude of searching questions (albeit not as searching as, “Ham hand or sun cream armpit?”). Herring discusses his university scrapbook, his contemporaries and his analytical approach to comedy. You can access this episode of ‘A History of Comedy in Several Objects’ via iTunes and acast. Scanned image files of Richard Herring’s book ‘Diary of Comedy and Drama’, kept whilst studying at the University of Oxford, 1986-1989. Richard has allowed us to make images from the sketchpad available on our flickr site, so do check them out (in the ‘History of Comedy in Several Objects‘ album)! Don’t forget to get involved! You can contact us via standup@kent.ac.uk or tweet us at @histcompod. You can search the online catalogue for more information about the holdings of the British Stand-Up Comedy Archive at http://archive.kent.ac.uk. This entry was posted in A History of Comedy in Several Objects, Podcast, Richard Herring Collection and tagged A History of Comedy in Several Objects, Lee and Herring, Podcast, Richard Herring on June 22, 2017 by Elspeth Millar. Episode 12 of Histcompod features an exclusive interview with Josie Long and her sketchpad, talking about the creative process behind her 2006 Edinburgh show, Kindness and Exuberance. You can access this episode of ‘A History of Comedy in Several Objects’ via iTunes and acast. Josie has allowed us to make images from the sketchpad available on our flickr site, so do check them out (in the ‘History of Comedy in Several Objects‘ album)! This entry was posted in A History of Comedy in Several Objects, Josie Long Collection, Podcast and tagged A History of Comedy in Several Objects, Josie Long, Podcast on June 14, 2017 by Elspeth Millar. Episode 11 of ‘A History of Comedy in Several Objects’ is now available on iTunes and acast. 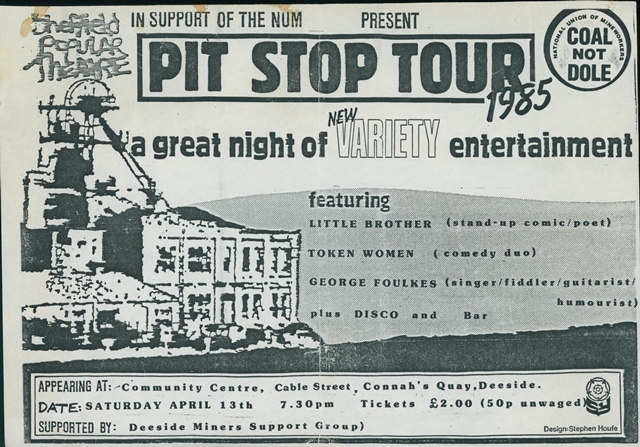 In this special guest episode we talk to Warren Lakin about Linda Smith’s life and her work, feminism in comedy and the Miners’ Strike of the 1980s, focusing on a flyer for the Cable Street Community Centre show as part of the 1985 ‘Pit Stop Tour’ run by Sheffield Popular Theatre, plus an exclusive interview clip with Mark Thomas. Images of some objects featured on the podcast can be found on our flickr site in the ‘History of Comedy in Several Objects‘ album. This entry was posted in A History of Comedy in Several Objects, Linda Smith Collection, Mark Thomas Collection, Podcast and tagged A History of Comedy in Several Objects, Arthur Scargill, Coal Not Dole, Coal Strike (1984-1985), Linda Smith, Mark Thomas, Miners' strike (1984-1985), National Union of Mineworkers, NUM, Podcast, Sheffield Popular Theatre, Warren Lakin on May 31, 2017 by Elspeth Millar. Episode 10 of ‘A History of Comedy in Several Objects’ is now available on iTunes and acast. 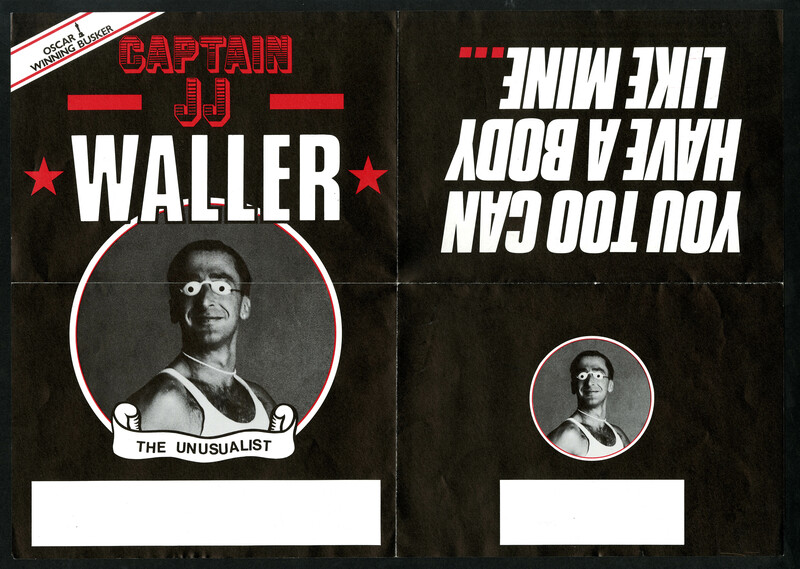 In this episode we look at at a range of evocative posters and photos from Captain JJ Waller, alongside an exclusive interview. In the course of doing so, we find out about the links between Covent Garden street theatre and alternative cabaret, and hear just how he managed to carry the weight of two London double decker buses on his chest. This entry was posted in A History of Comedy in Several Objects, JJ Waller Collection, Podcast and tagged A History of Comedy in Several Objects, cabaret, comedy, Covent Garden, JJ Waller, Podcast, street performance, street performers on May 30, 2017 by Elspeth Millar. Episode 9 of ‘A History of Comedy in Several Objects’ is now available on iTunes and acast. 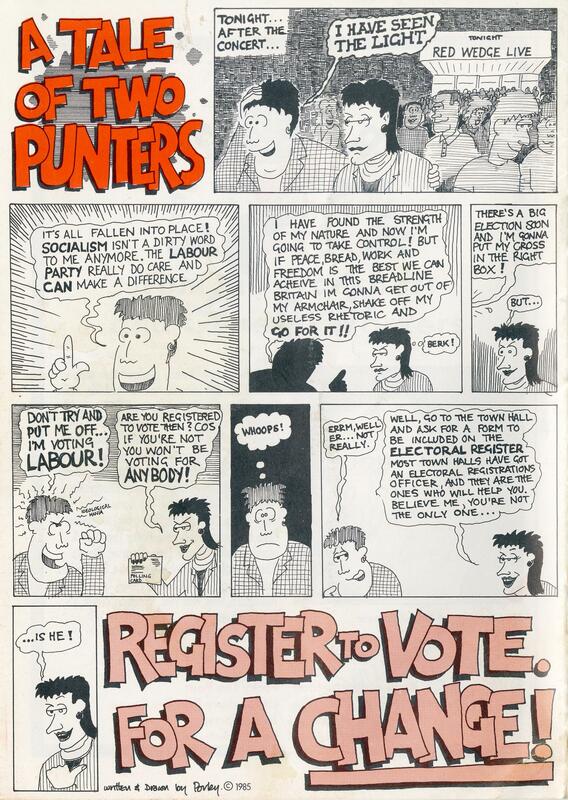 In this episode, we look at a programme (from the Linda Smith Collection) for the 1986 Red Wedge Comedy Tour, a run of pro-Labour performances featuring comedians such as Mark Miwurdz and Porky the Poet. The Red Wedge Comedy Tour emerged from the political initiative ‘Red Wedge’, a collective of performers, fronted by Billy Bragg and Paul Weller among others, who formed in 1985 and organised a number of major music tours in 1985, along with comedy tours in 1986 and 1987. Apologies, we have a slight error to correct. In this episode I mention that the year is 1987, when in fact it was 1986. Many apologies! This entry was posted in A History of Comedy in Several Objects, Linda Smith Collection, Podcast and tagged A History of Comedy in Several Objects, comedy, Phill Jupitus, Podcast, Red Wedge, stand-up comedy on May 16, 2017 by Elspeth Millar.